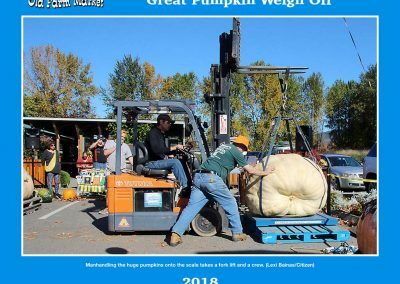 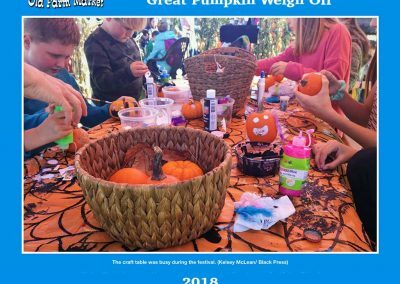 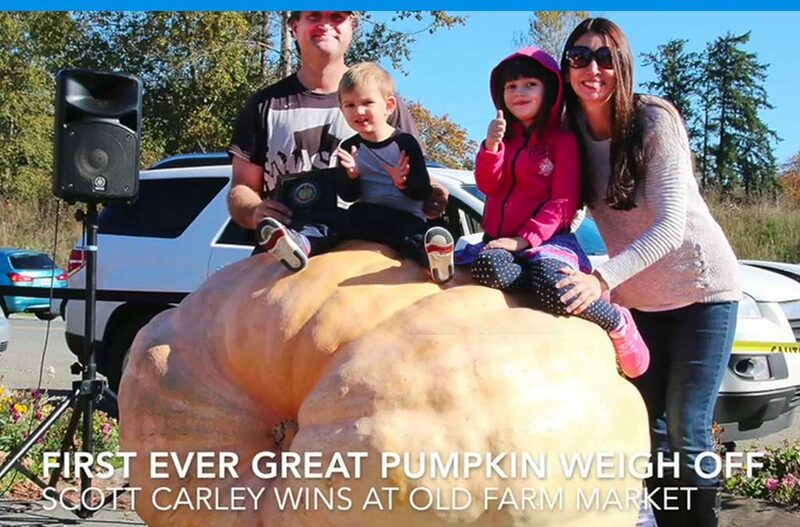 The first-ever “Great Pumpkin Weigh Off” at The Old Farm Market saw behemoths of near legendary size from both sides of the border go head to head, with Canadian Scott Carley taking the win with his 1,311 pound pumpkin. 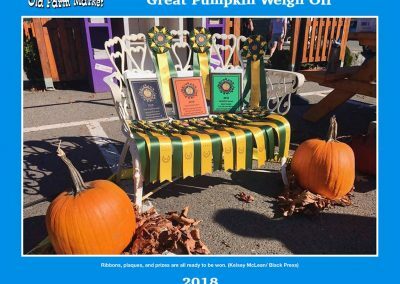 He won bragging rights, a plaque, a ribbon and $500 for his pains. 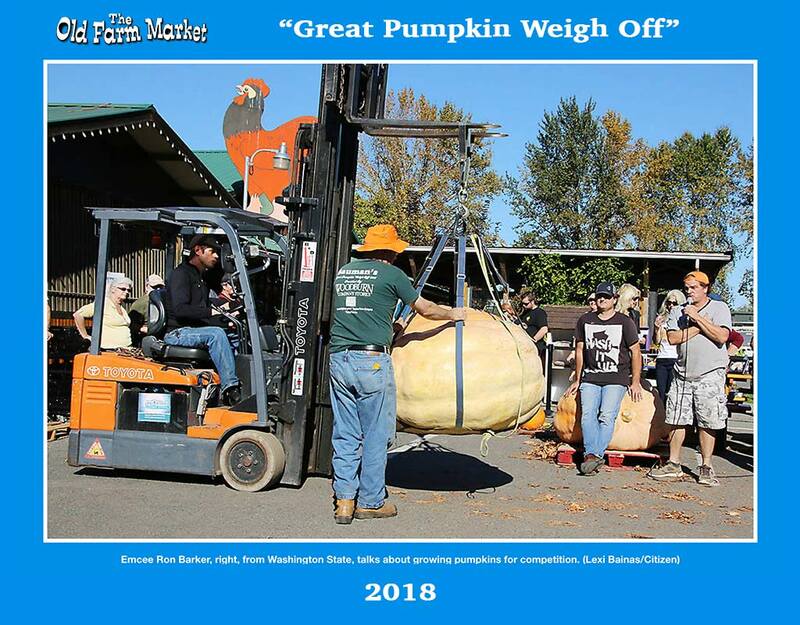 Second place went to Washington State’s Ron Barker, whose entry weighed in at 1,155 pounds. 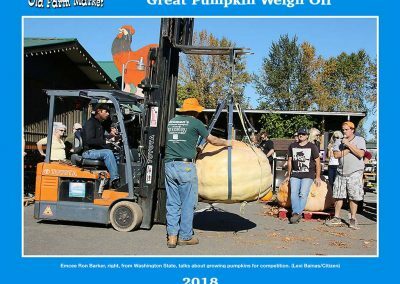 And, grown in Mill Bay, Glenn Dixon’s pumpkin finished third at 1,074 pounds. 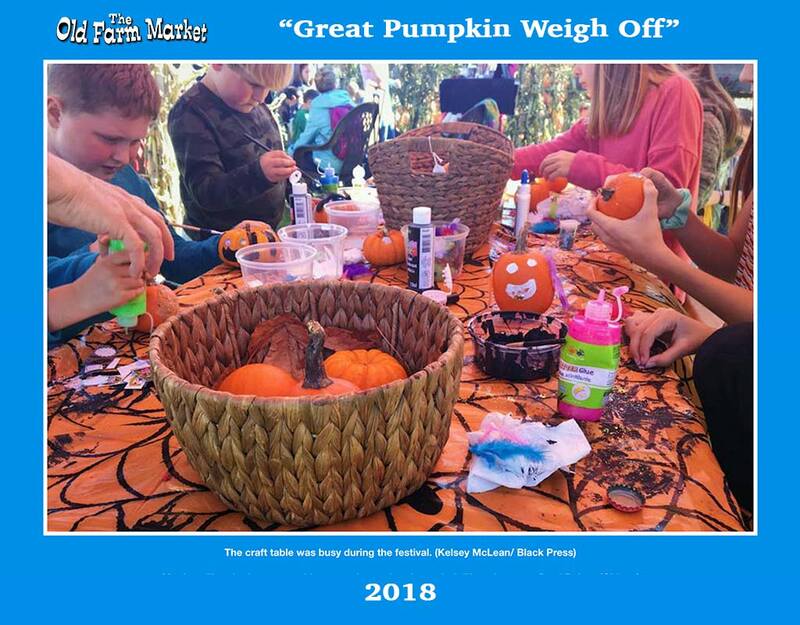 It was a gorgeous fall day, with lots of brilliant sunshine and a massive pile of Jack ‘o’ lantern style pumpkins nearby to add to the atmosphere. 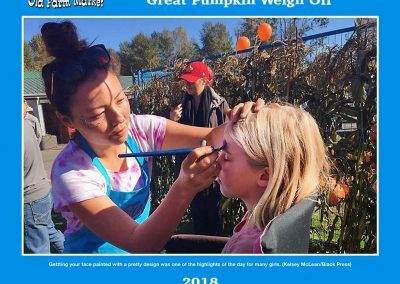 From 11 a.m onward, visitors and customers enjoyed free coffee, as well as hot dogs and ice cream cones for only 99 cents. 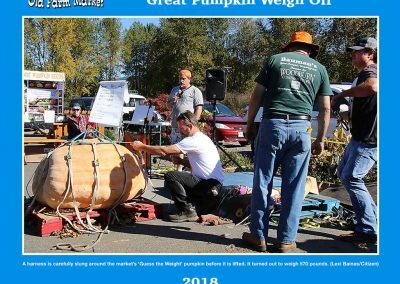 The weigh off started at 1 p.m. with local pumpkin farmers from all over the island bringing their biggest pumpkins to the competition. 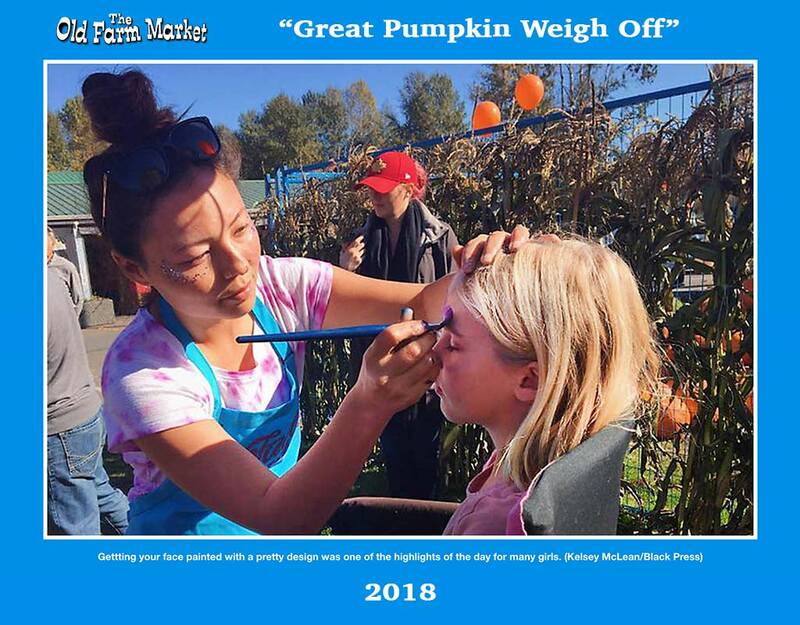 There was also a chance to guess the weight of a big pumpkin and win prizes, plus face painting and pumpkin decorating for the kids. 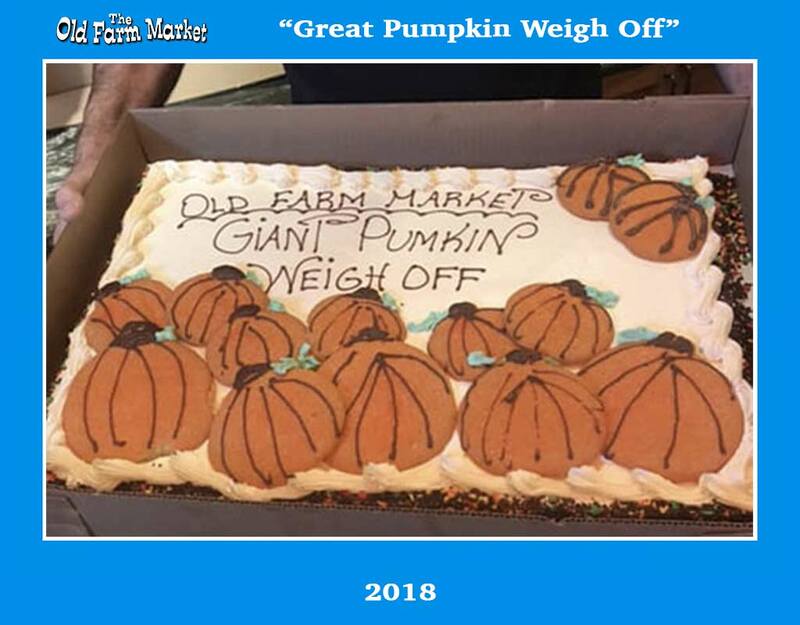 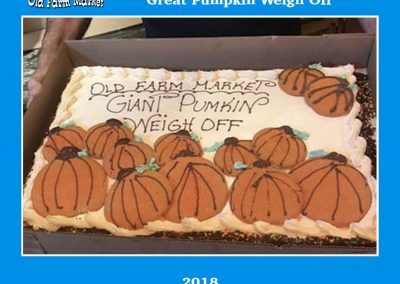 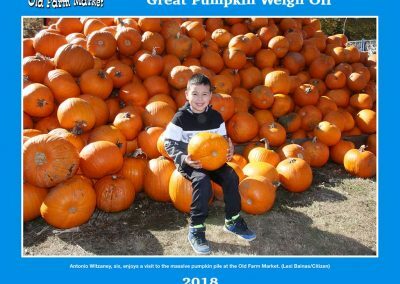 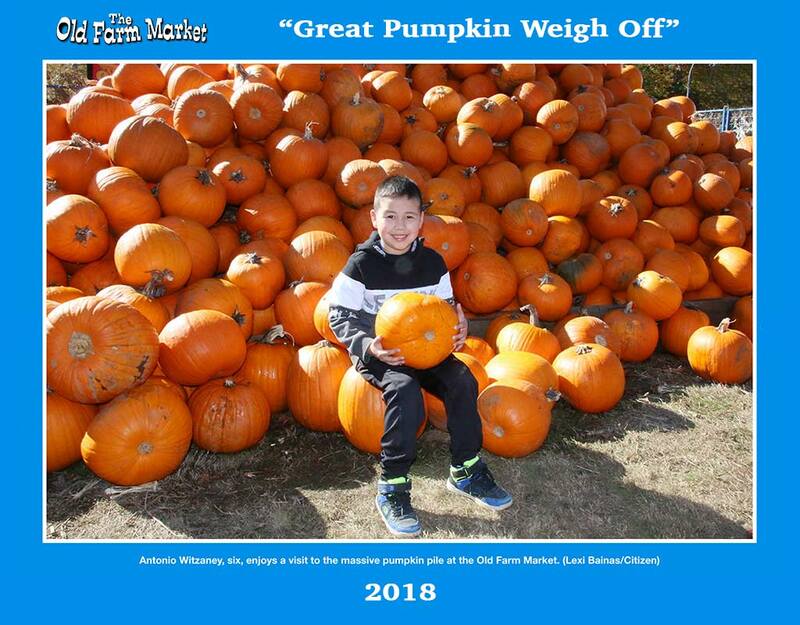 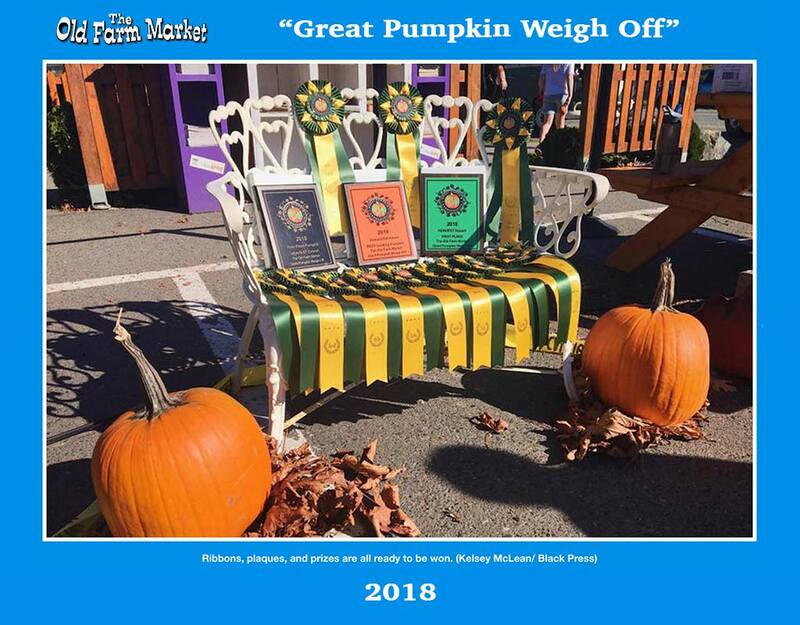 Congratulations to the winner of the 2018 “Guess The Pumpkin Weight”, they take home a $50 Gift Card for The Old Farm Market. 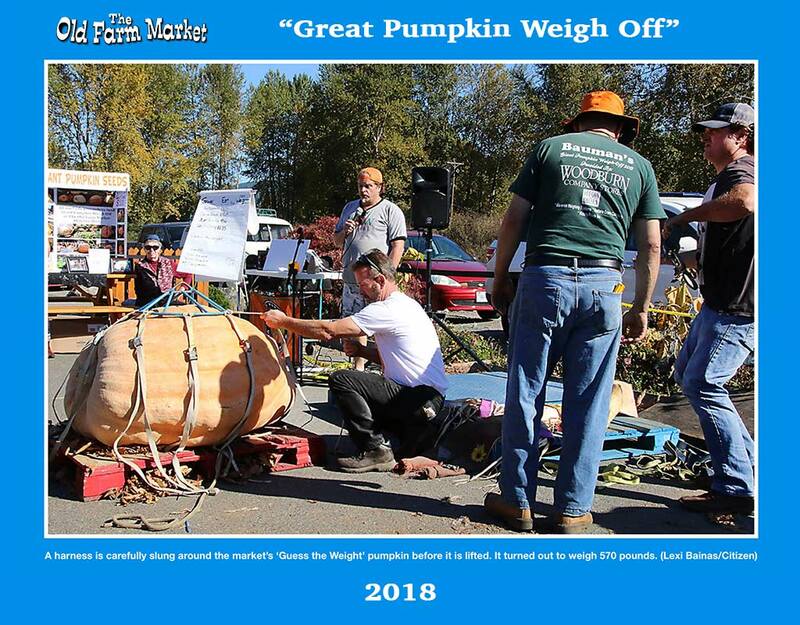 This Year’s pumpkin, generously donated by Glenn and Andrea Dixon, weighed in at 575 lbs!